So, I’m hoping you have read or watched Shirley MacLaine’s Out On A Limb. In her story Shirley is wandering through a bookshop and a book fell off the shelf right in front of her. It was just the book she needed to read next. Back to my own story . . . it’s late 1985, and I’m still a country rep with a huge territory to cover.  I’d had the experience with Out On a Limb and was now wondering what was next, I was filled with anticipation, just knowing that the next step along my metaphysical pathway was somehow going to find me. This week’s work trip was Townsville to Mount Isa. About 1000 kilometers of straight road from the coast to a mining town in the middle of nowhere. Nearly half way out is my next stop. It’s to do business with a newsagent in Hughenden. I’m not sure what the shop is like nowadays but in 1985 it was a scruffy and dusty building selling newspapers, magazines, a few books, some basic refreshments and the small VHS movie hire library that I would service each month. I liked being a rep in the outback. Everyone was friendly and glad to see me. Quite different to city folk. Bob, the owner, was a very likable chap who always made me feel welcome. A good thing when one drives most of the day to get here. I mentioned scruffy didn’t I? In one quarter of the store were piles of junk on all table tops, half the shop was completely empty, and there were just a few dusty racks with merchandise displayed at the front between the door and counter. Today was not unlike any other out here. I had replenished the movie stock and had my bill settled on the spot as usual. As I was about to leave, a bunch of old newspapers and books, Bob had piled up at the back end of the counter, fell down into a heap on the floor. Out of this, one little book skimmed across the floor and actually stopped on my foot. I picked up this little blue paperback book and as I was about to put it back on the table Bob shouts out. “Hey Ian, you keep that book, it’s meant for you,” laughing loudly at the mess as he re-piled into a newly arranged, but still messy, stack on the counter. “Oh no that’s OK” I said. But Bob insisted. So I held on to it and I glanced down at the cover of my free gift. 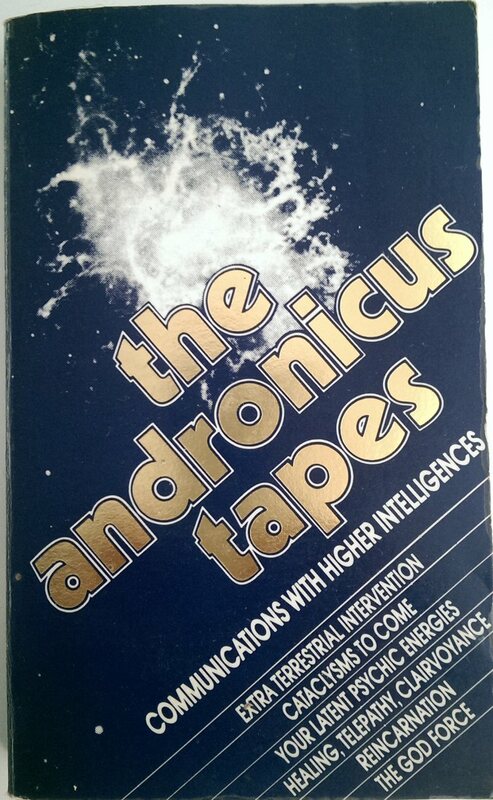 The Andronicus Tapes – Communications with Higher Intelligences. – I felt the shivers run down my back and I set off on the next leg of my work trip. Published in 1983 and authored by Ian Gordon Ph.D. the book is long out of print now. But some second-hand copies are still about on Amazon and eBay. 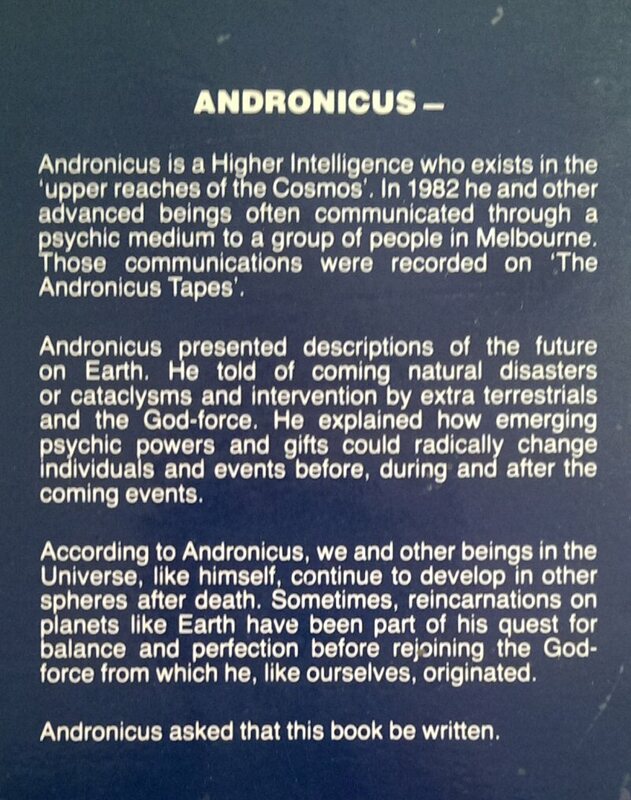 From the back cover – Andronicus is a Higher Intelligence who exists in the ‘upper reaches of the cosmos’. In 1982 he and other advanced beings often communicated through a psychic medium to a group of people in Melbourne [Australia]. Those communications were recorded on ‘The Andronicus Tapes. [ ] Andronicus asked that this book be written. For the next couple of days, I would drive and my assistant would read aloud from the book. Today was a bit weird though. In my head I could hear bells ringing, like church bells pealing from the belfry. I was not used to hearing things that were not actually there and shrugged it off thinking it may be some form of early onset tinnitus. I mentioned to my assistant that I would go get a hearing test when back in Townsville as the bell ringing in my head was quite distracting. Ding ding dong doonng, it was very strong and constant. A while later and now back into the book reading (on page 139) the speaker in the group asked a question of Aesop, one of the Higher Intelligence Beings. 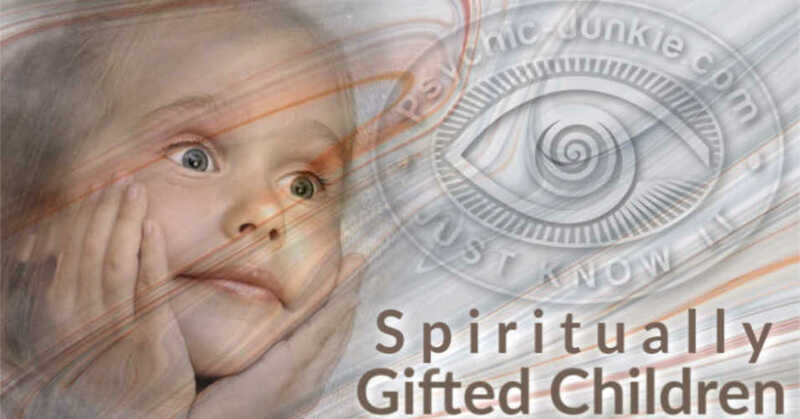 Q: “We are very anxious that our development in the area of telepathy should be fostered”. Aesop answers. A: “First we say patience. Do not rush, there is an immense project ahead of each one of you. Time is of no consequence. We send to you now, in a telepathic way, a sound. We shall tell you later the sound and you can match that which you received, with what we sent”. Two pages on and Aesop continued: – “Earlier I was sending you a telepathic communication and it was the pealing of bells. 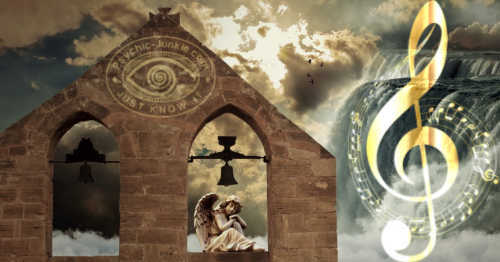 Had you heard the bells ringing within, you would have received the signal”. I jumped on the brakes, screeching to a stop, on this traffic-less road in the middle of nowhere. "What the heck was THAT all about"? "How can I hear a telepathic message in 1985 from a book published in 1983???" Reading back again I noticed the sentence “TIME IS OF NO CONSEQUENCE”. What a truly magical experience that was. 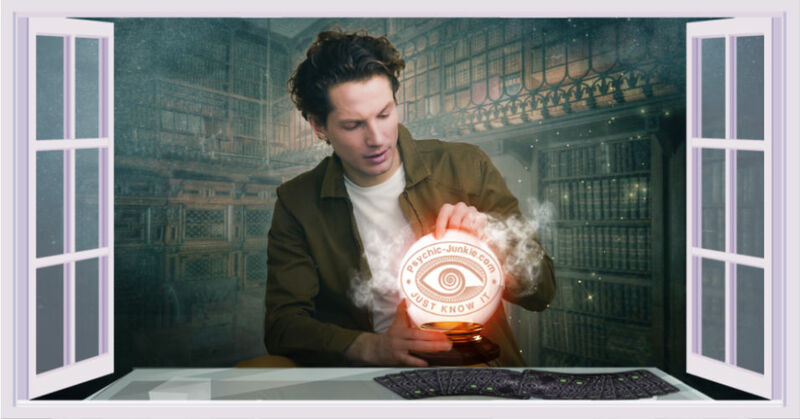 Receiving a telepathic message from an entity from the upper reaches of the cosmos. A message sent in 1982, published in 1983, and received three years later in 1985. I felt connected, on track and full of wonder. Andronicus Update 2017 - It was a pleasant surprise to recently hear from Michelle, the late medium's granddaughter. Hi Ian, I was just looking up "the Andronicus tapes" and your post came up. Fred Parker who is the medium used in the book is my grandfather! He died back in 1987 though when I was 7. I'm so glad that he is still inspiring people so many years after his death. 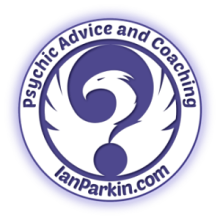 Returning to my Magnetic Island home, I was now eager to find out more about telepathy and psychic abilities.  Shirley MacLaine had written about The Sleeping Prophet = Edgar Cayce the world’s most documented psychic.